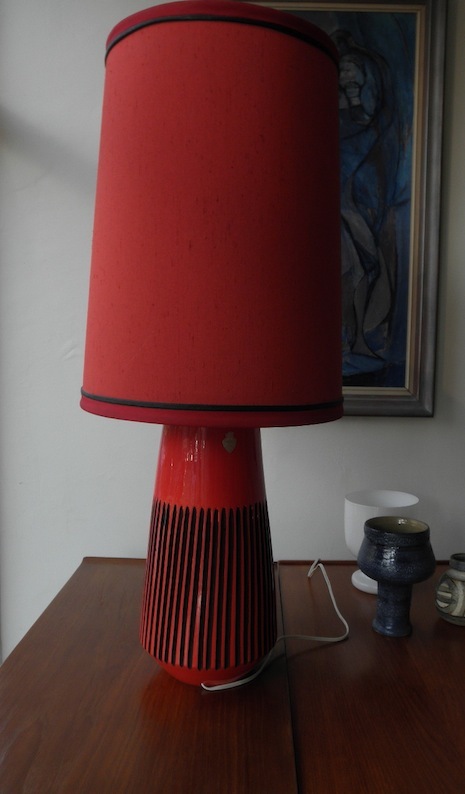 This huge red Italian lamp is in incredible condition, is an enormous size, fantastic modernist design and still retains it’s foil label from when it was new. The original owner has loved it and kept this as new including the shade. 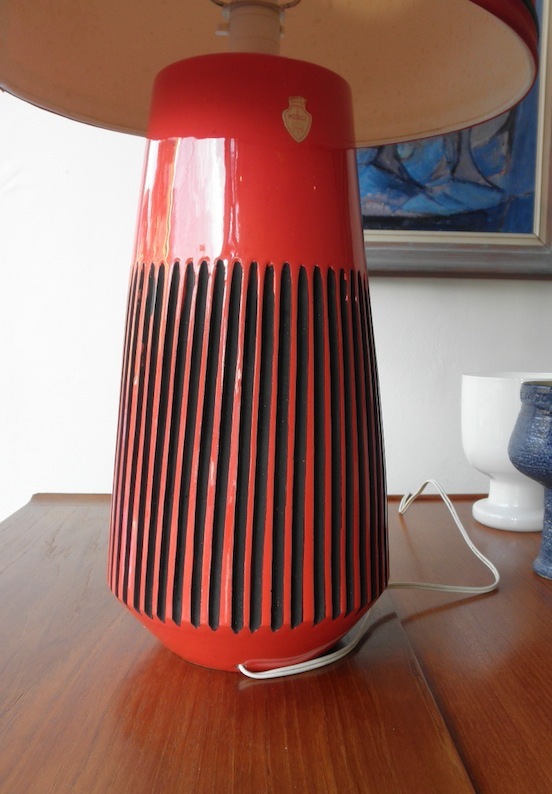 In short this is possibly the nicest, most stylish, original table lamp you will find available in Australia.